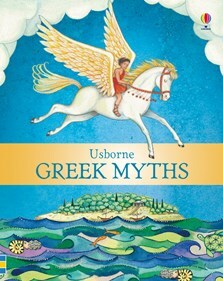 A pocket-sized collection of some of the best-known Greek myths, specially written for young children to enjoy. With vivid illustrations throughout to bring the stories of gods, monsters and mortals to life. Perfect for reading aloud, with a pronunciation guide at the back to help with Greek names.